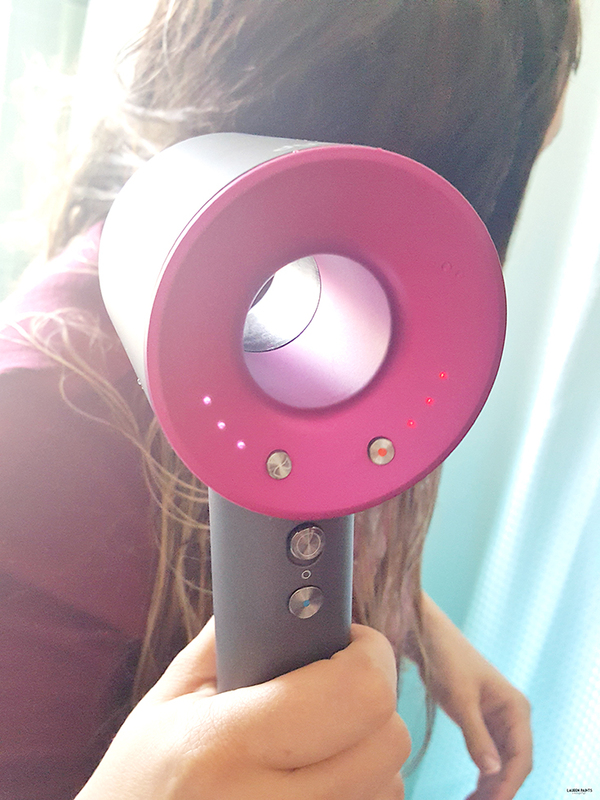 The Hair Dryer Has Been Reinvented and YOU Will Love It! A hair dryer is just a hair dryer, or so you thought. I felt the same way, until I had this powerful little hair tool in my hand. 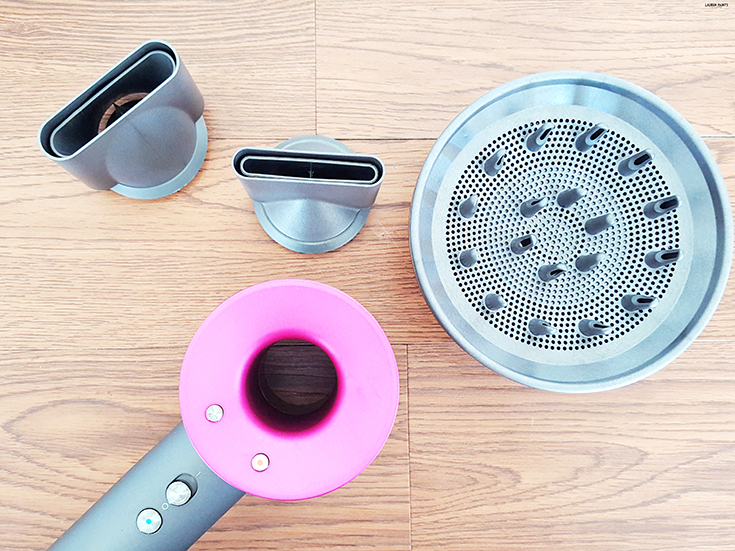 The game has changed, styling your hair just got a little easier, and we have Dyson to thank. The Dyson Supersonic hair dryer has reinvented the standard hair dryer with a unique digital motor for fast and balanced drying. 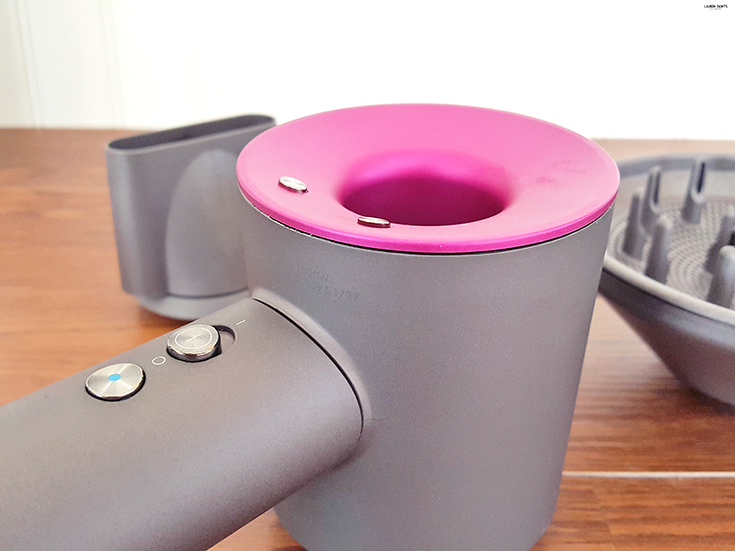 It even has a thermistor that helps protect your hair from heat damage and a monitor that checks the temperature every 20 seconds, keeping your hair safe and beautiful! Plus, this beauty has three magnetic styling attachments- making it easier to style every type of hair. 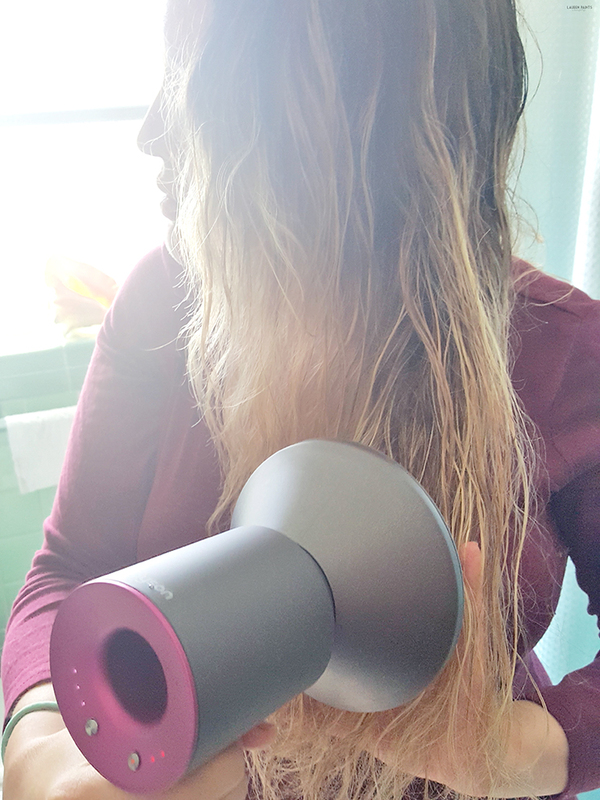 This is the hair dryer reinvented and it's definitely my new favorite beauty accessory. As a new mom, just gaining a second of freedom here or there while my baby plays with a toy, I can say I didn't use to have the time to devote to styling my hair perfectly every morning. Now with my Dyson Supersonic hair dryer and it's ultra-fast drying capabilities, I'm ready to go when Delainey is ready to play. Another reason this dryer is mama friendly? It's acoustically tuned. While that sounds like it may play music well, that isn't the case. The powerful motor is actually tuned to produce one inaudible frequency and it's enveloped by a vibration reduction system, making this dryer quiet enough to not wake the baby when you just need to feel clean after a long day. I love the fact that I'm able to use this dryer without having to worry about waking the tiny little monster--that makes getting ready for our first date night out since having her a more reasonable idea. Whether your using the highest or lowest of the three speeds this hair dryer offers or boosting it to the highest of the four heat levels, you'll really appreciate how this dryer feels like it was made for you... helping to shape your hair into the perfect style, quickly and reliably. 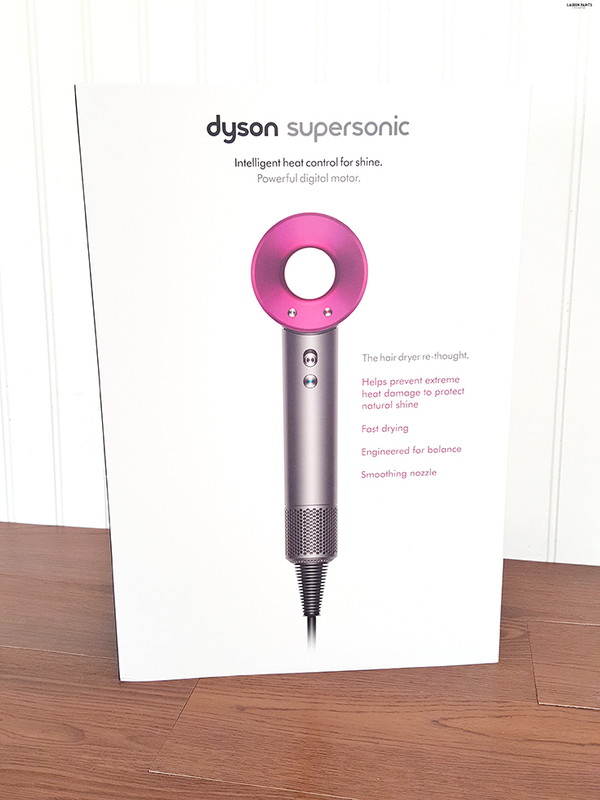 I know I love my new Dyson Supersonic hair dryer and I think you will too.